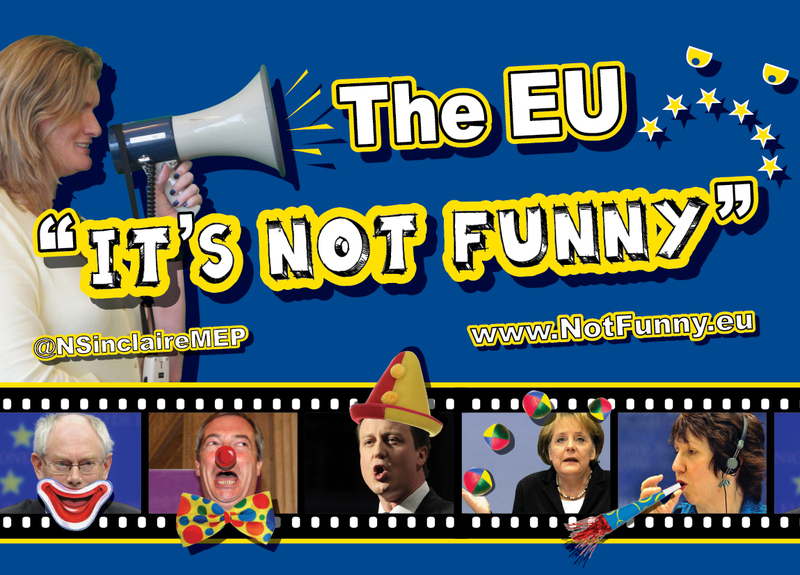 The EU – It's not funny! just a quick video of the show…. A better quality video will be posted shortly. A light hearted, satirical and poignant look at the European Union, its characters and its everyday effect on the lives of ordinary people. Never mind about “Bent Bananas”, there are far more unfunny things about the EU – Take Nigel Farage for example! 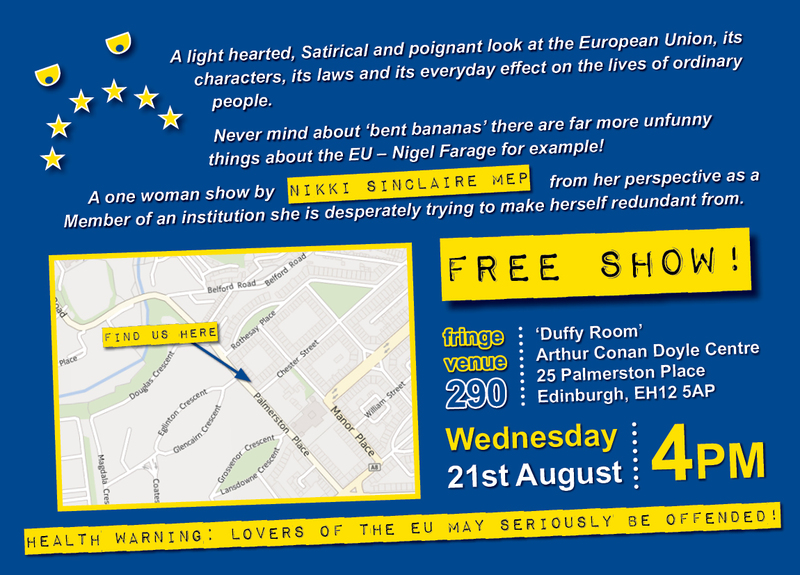 A one woman show by Nikki Sinclaire MEP from her perspective as a Member of an institution she is desperately trying to make herself redundant from!